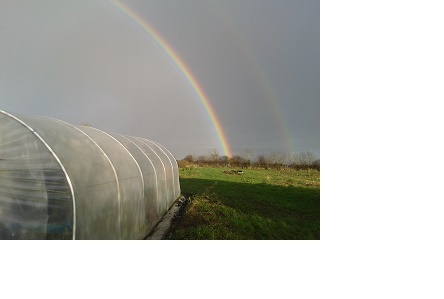 Captured by Scott – working in the dark wintery rain sometimes feels really worthwhile! Give The Gift of Becoming a Shareholder to a loved one in 2016! Shares can be purchased for as little as £50 or as much as £20,000. Under our democratic structure however, each shareholder has one equal vote, regardless of the value of their investment. . Shareholders will receive a named share certificate, a monthly newsletter, are invited to Open Days and other events at the market garden, can contribute their views at the AGM, are welcome to visit and volunteer, and benefit from a discount on our veg boxes. January box contents will be based around lovely winter salad bags, leeks, beetroot, celeriac, cabbage and the staples potatoes, carrots and onions. Sprouts with their tops took pride of place in our Christmas vegboxes. Thanks to Lia’s Kitchen for supplying lovely seasonal recipes from our vegboxes. Visit her website for great tips on using up leftovers. And to local food writer Catrin Price-Thomas for providing copies of The Taster – excellent article on the foodie differences of the Arctic and Antarctic regions! 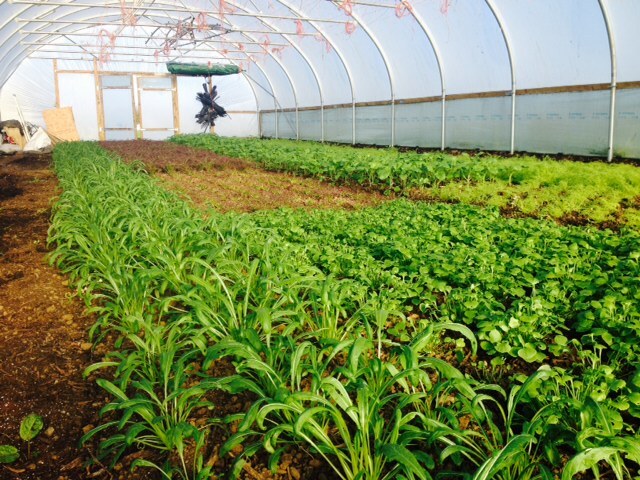 Polytunnels are burgeoning with winter salad – out in the vegboxes next week and now available to restaurants and other foodie places. The field is a bog – as can well be imagined so keeping off it – other than to harvest next week – as long as the ground’s not frozen – yikes! Our new grower Scott has been keeping busy doing lots of practical site clearing and sorting – and has built a solar powered heated propagator. Spinach, spring greens, new beets all starting to germinate.